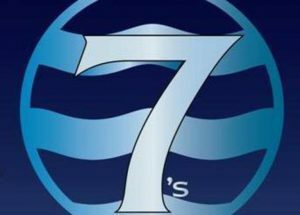 For the third time, Tunbridge Wells RFC is the proud hosts of the Kent Girls Sevens on Sunday 28th April at St Marks, Tunbridge Wells. Whilst this is the designated county event it is also open to clubs from other counties as they aim to develop Girls rugby and help it to prosper and grow. For the first time, they will be holding events at Under 11s (by popular demand), 13s, 15s, and 18s. If you have girls playing at your club that qualify for the under 11s event, but not enough to make a side, they encourage you to bring them along in any case and they will help clubs liaise to form barbarians’ teams if necessary. Please discuss this within your clubs and advise how many teams that you would like to enter at each age group as soon as is practicable and enter no later please than Saturday 20th April. If you have under 11 Girls but not enough to enter a squad then a rough idea of how many you might bring along will be much appreciated by the above deadline too although they will, of course, be flexible on the day. Entry is FREE for all teams. If you have any questions or want to make entries, then please contact Graham Withers.